VTech, a world leader in age-appropriate and developmental stage-based electronic learning products for children, turned to Coyne for an unprecedented consumer brand building campaign. With a strong focus on strategic product launches, building engaging relationships with influencers, strengthening brand reputation and delivering measurable results, our team has helped elevate VTech to a premiere brand in the industry. When VTech acquired LeapFrog in 2016, the team was tasked with developing a comprehensive program that continued to keep VTech in the media spotlight while also ensuring LeapFrog shined bright. In order to generate truly engaged posts and content-rich editorial surrounding the Kidizoom Action Cam, Coyne offered select media and bloggers with children in the target age range the opportunity for personal skateboarding lessons featuring a one-on-one introduction to the Kidizoom Action Cam. Hot on the heels of the adult wearables trend, Coyne PR previewed the Kidizoom Smartwatch to select media at Toy Fair, building the buzz, which continued throughout the year. As the retail availability date neared, the product was launched at a Christmas in July media event and samples were pre-seeded to key influential toy and tech media, which included one-on-one meetings with a VTech executive. 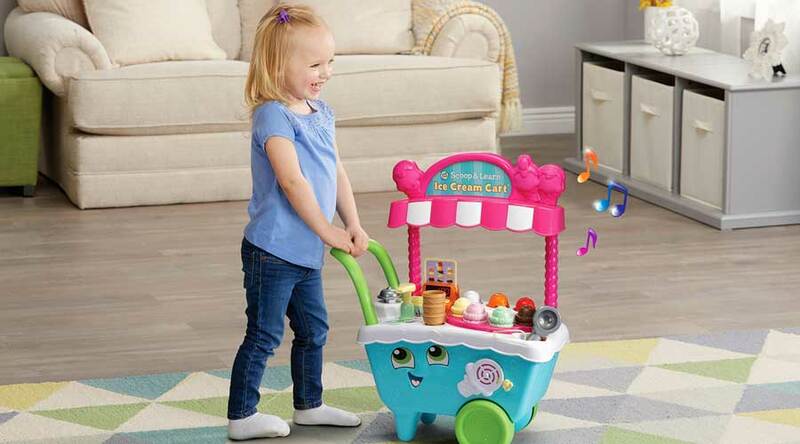 Looking to share the scoop on LeapFrog’s adorable Scoop & Learn Ice Cream Cart, Coyne PR featured the product at a summertime media event alongside a full-size ice cream cart packed with adorable cotton candy cones. To continue the buzz through the holiday shopping season, Coyne executed a robust media campaign that led to an impressive accumulation of more than a dozen toy test awards, a Toy of the Year (TOTY) Award nomination and coverage on TODAY, Good Morning America, CNBC, Good Housekeeping, Family Circle, Parents and more, making it one of the hottest toys of the year.